12 week, in-depth course designed for individuals and couples wishing to explore Judaism or considering becoming Jewish. Interfaith couples are encouraged to enroll together. 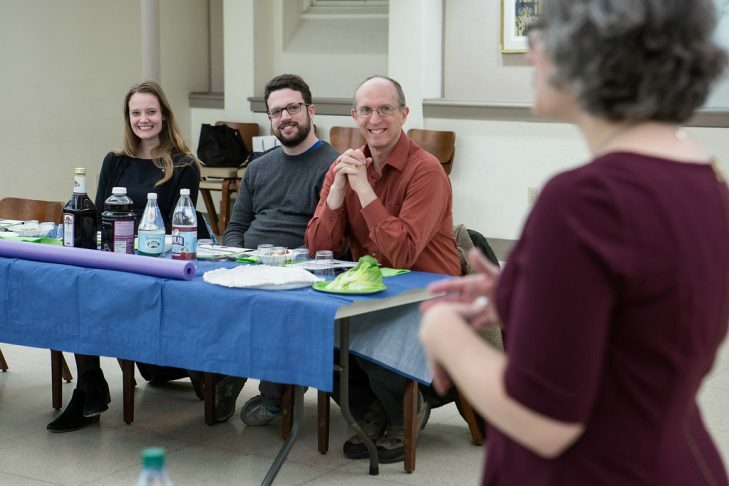 Taught by a dynamic team of Reform rabbis, cantors and educators, Introduction to Judaism provides an opportunity to learn about Jewish history, traditions, holidays and life cycle ceremonies. Participants will gain comfort and familiarity with the symbols, liturgy, music, traditions and Hebrew blessings that accompany Jewish celebrations in the home and synagogue. Advance registration is required. Taught by Rabbi Howard Jaffe, Rabbi Jill Perlman and Rabbi Amy Hertz at Temple Isaiah, Lexington. A Taste of Judaism: Are You Curious?